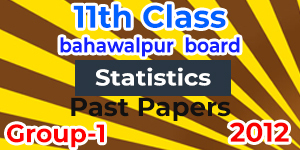 Established in 1998 BISE Bahawalpur is the Board of Intermediate and Secondary Education working as a governmental body. The board's jurisdiction includes Bahawalpur District, Bahawalnagar District and Rahim Yar Khan District. 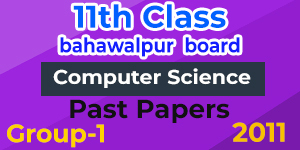 The board is a newly established board as compared to other boards of Punjab. The board is located in the city of Bahawalpur. 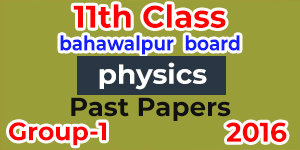 The candidates preparing for the exams of 1st year including FSc part 1, F.A part 1 and I.Com part 1 and looking for the past papers taken under the supervision of BISE Bahawalpur can download all the papers. The past papers of 11th class of any subject can be downloaded from careerkarwan. Just click the paper of your respective subject of HSSC part 1 and download it for a better preparation for your upcoming exams.